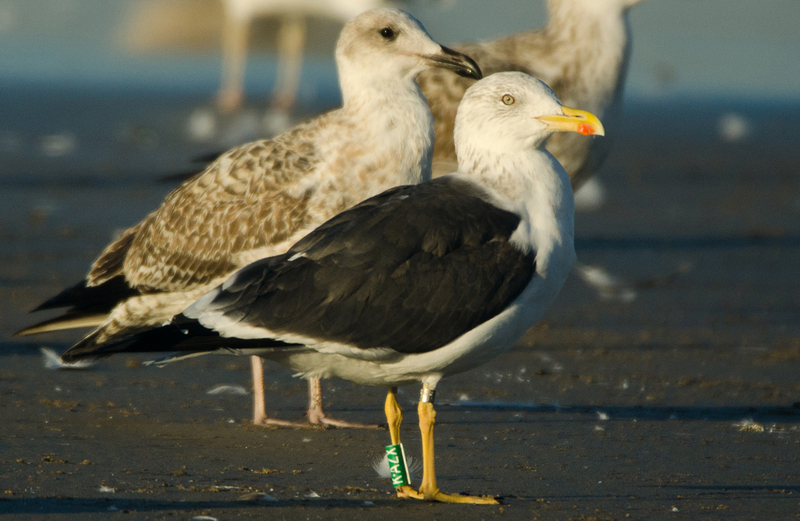 Lesser Black-backed Gull graellsii K.AZX 2CY-6CY, August 2014 - January 2018, the Netherlands & Portugal. Picture: Maarten van Kleinwee & José Marques. 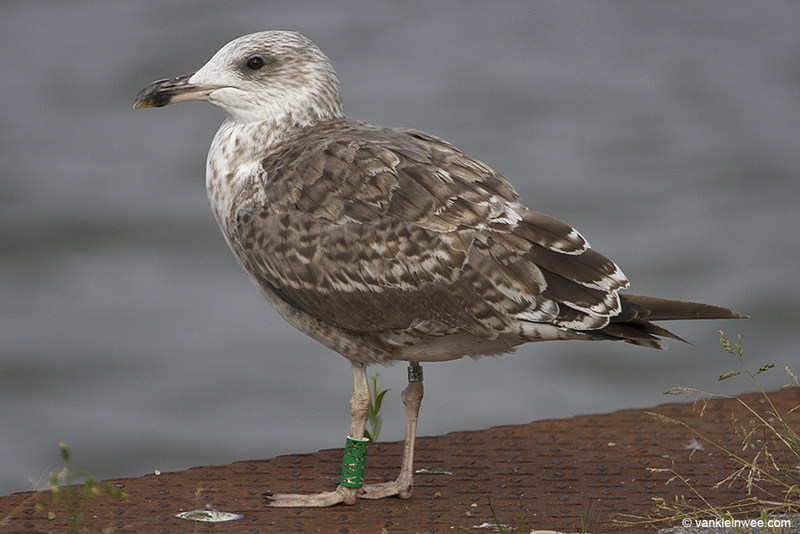 Continental graellsii from this population are also referred to as 'Dutch intergrade', upperparts between medium grey British graellsii and dark grey Scandinavian intermedius. 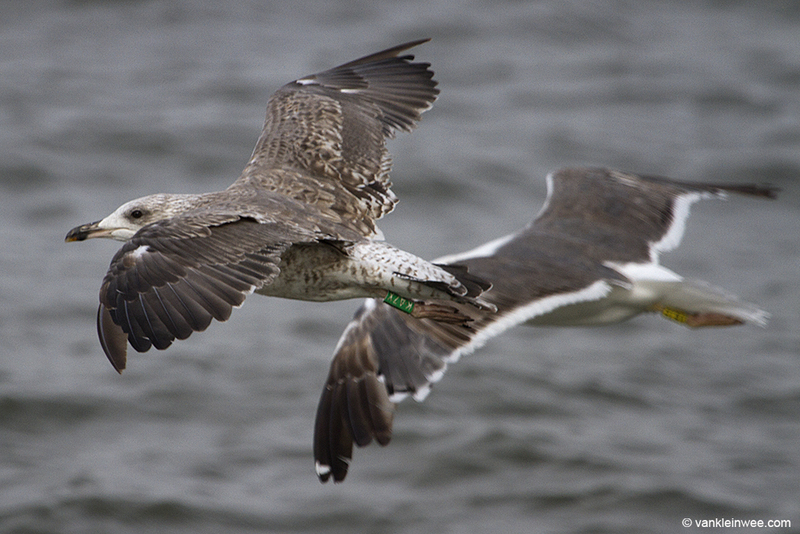 Ringed as pullus in June 2013 at Texel, the Netherlands. 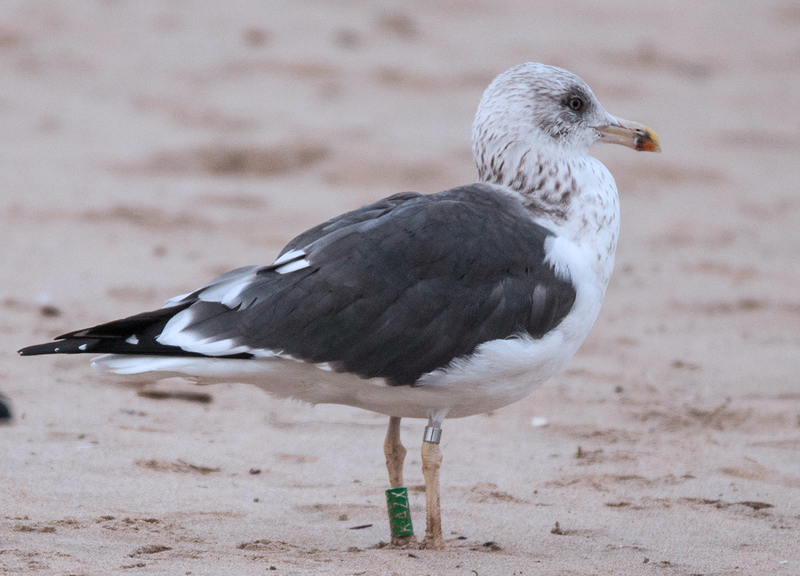 below: Lesser Black-backed Gull graellsii K.AZX 6CY, January 18 2018, Matosinhos Beach, Matosinhos, Portugal. Picture: José Marques. below: Lesser Black-backed Gull graellsii K.AZX 5CY, December 07 2017, Matosinhos beach, Matosinhos, Portugal. Picture: José Marques. 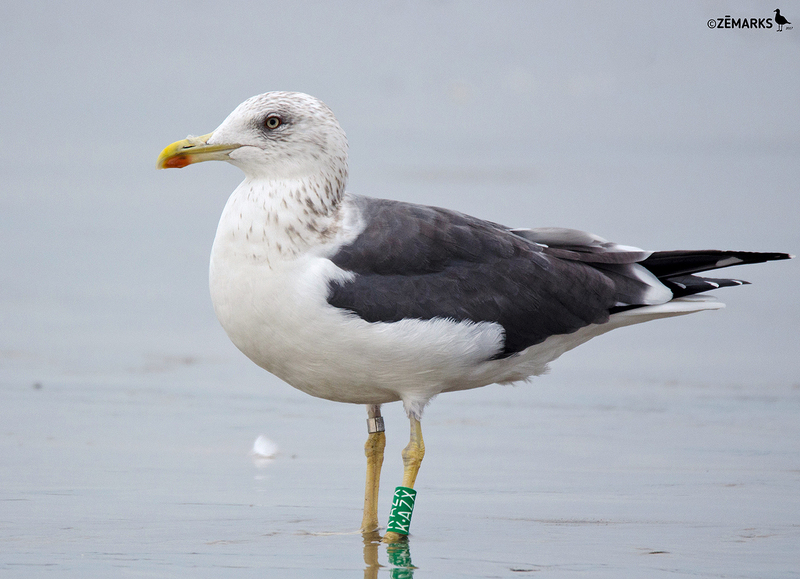 below: Lesser Black-backed Gull graellsii K.AZX 5CY, December 05 2017, Matosinhos beach, Matosinhos, Portugal. Picture: José Marques. 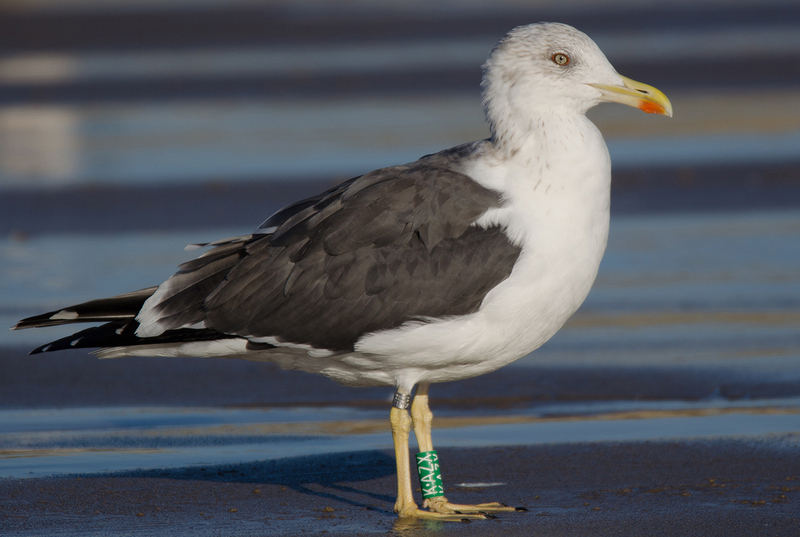 below: Lesser Black-backed Gull graellsii K.AZX 5CY, November 28 2017, Matosinhos beach, Matosinhos, Portugal. Picture: José Marques. P10 growing. Note covert moult. 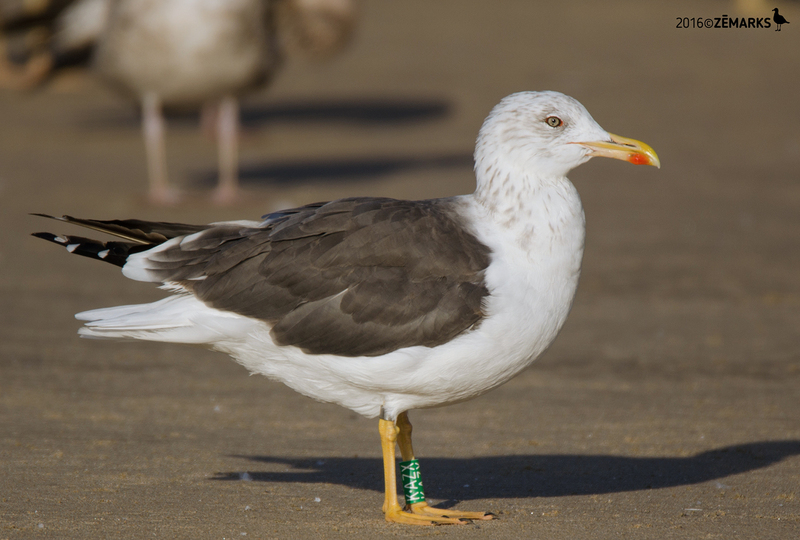 below: Lesser Black-backed Gull graellsii K.AZX 5CY, October 02 2017, Matosinhos beach, Matosinhos, Portugal. Picture: José Marques. 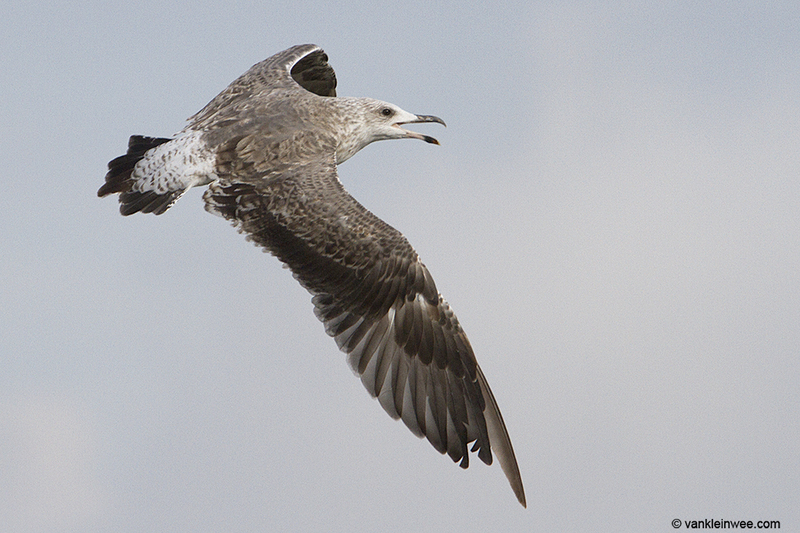 below: Lesser Black-backed Gull graellsii K.AZX 5CY, January 01 2017, Matosinhos beach, Matosinhos, Portugal. Picture: José Marques. Much adult-like in plumage. P10 fully grown. 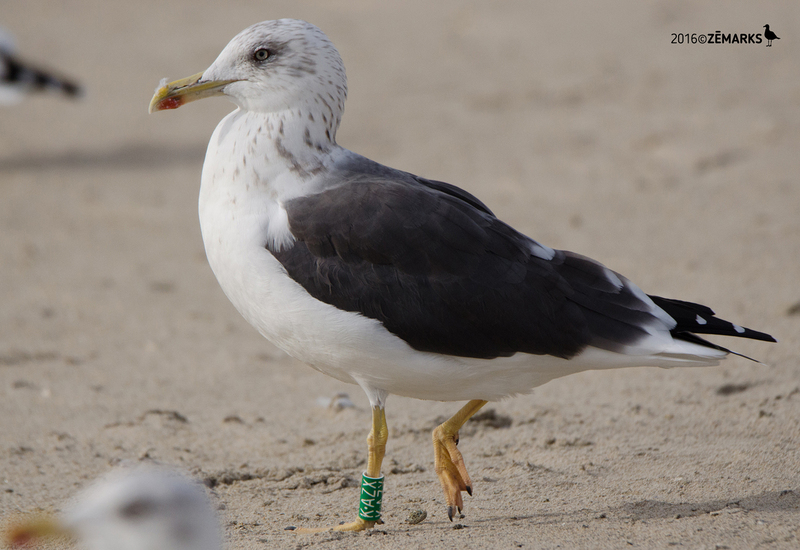 below: Lesser Black-backed Gull graellsii K.AZX 4CY, December 23 2016, Matosinhos beach, Matosinhos, Portugal. Picture: José Marques. 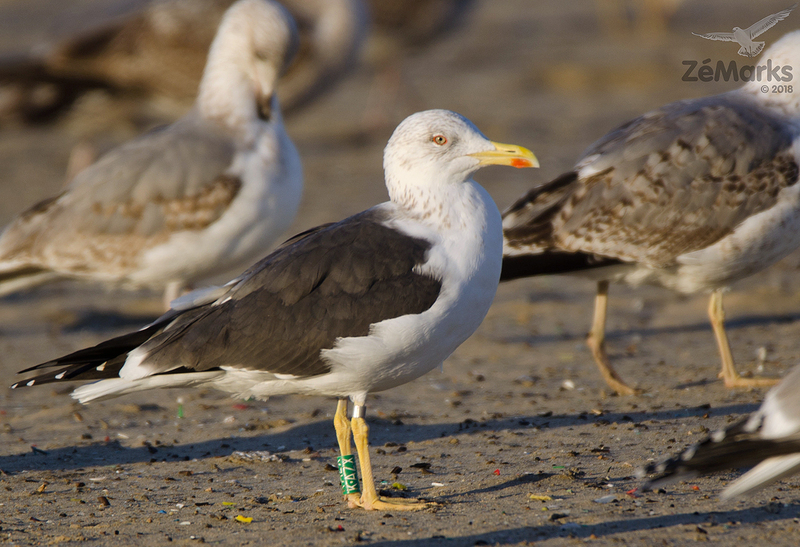 below: Lesser Black-backed Gull graellsii K.AZX 4CY, November 11 2016, Matosinhos Beach, Matosinhos, Portugal. Picture: José Marques. Much adult-like in plumage. P8 fully grown. 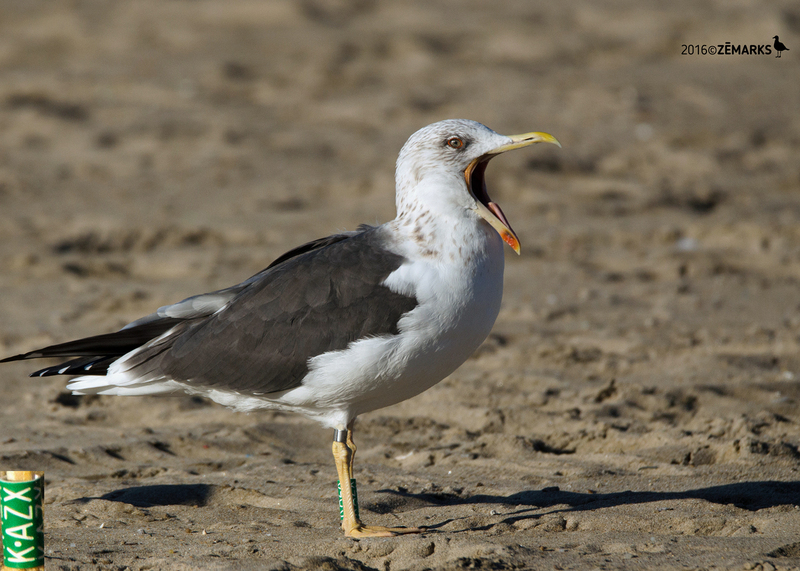 below: Lesser Black-backed Gull graellsii K.AZX 4CY, October 14 2016, Matosinhos beach, Matosinhos, Portugal. Picture: José Marques. 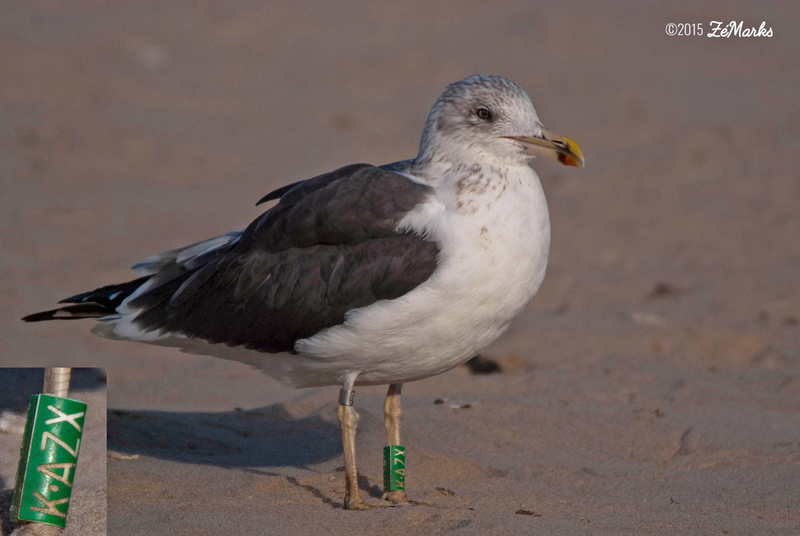 below: Lesser Black-backed Gull graellsii K.AZX 3CY, December 04 2015, Matosinhos beach, Matosinhos, Portugal. Picture: José Marques. Much adult-like in plumage. Note bill pattern. 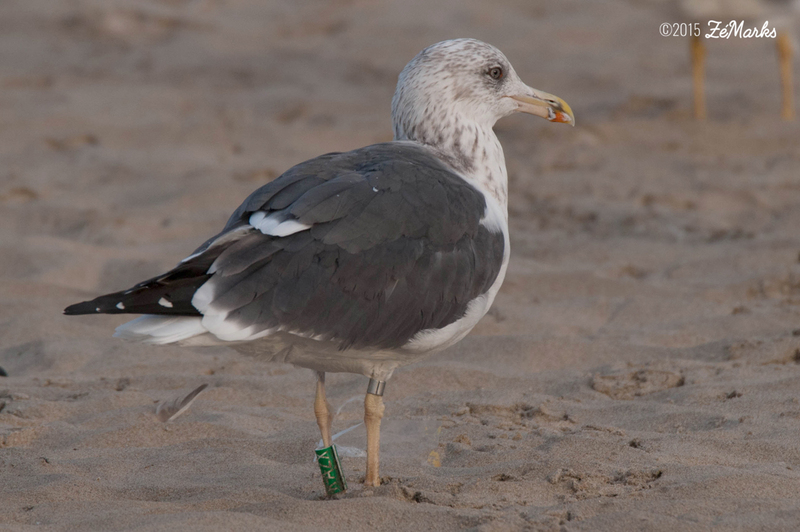 below: Lesser Black-backed Gull graellsii K.AZX 3CY, December 01 2015, Matosinhos beach, Matosinhos, Portugal. Picture: José Marques. Much adult-like in plumage. Note bill pattern. P10 growing. 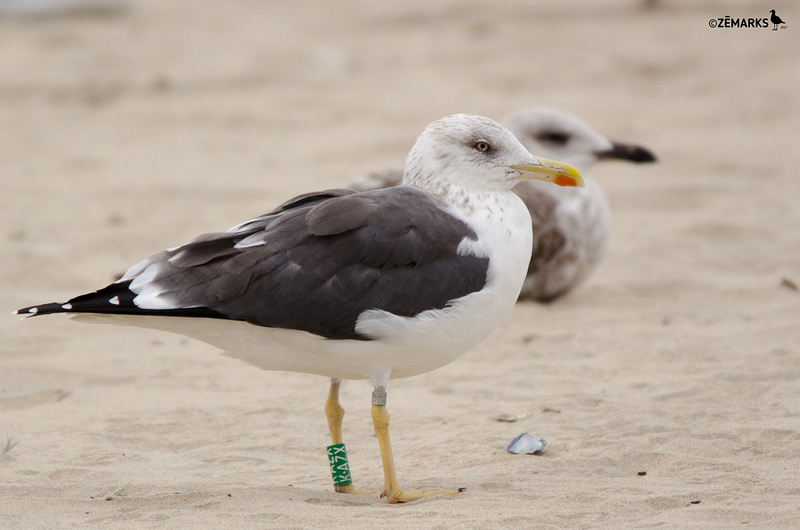 below: Lesser Black-backed Gull graellsii K.AZX 3CY, November 20 2015, Matosinhos beach, Matosinhos, Portugal. Picture: José Marques. Small primary tips. P9 f.g. Pink base on bill. 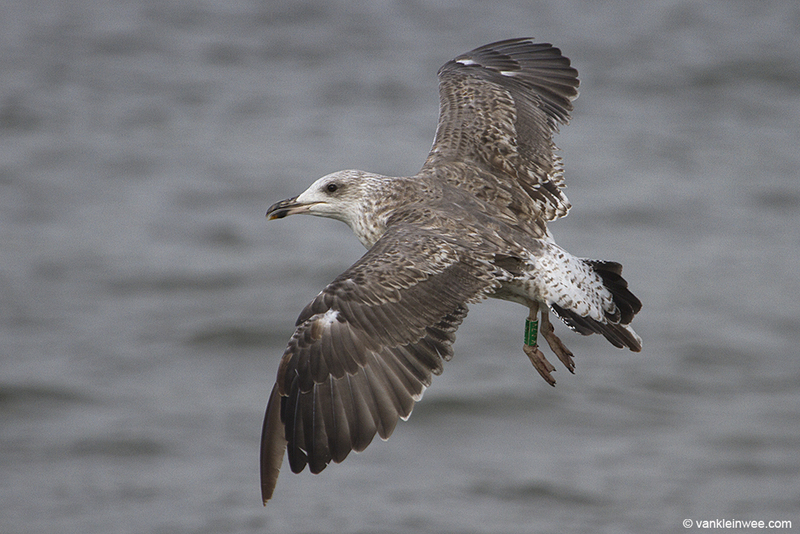 below: Lesser Black-backed Gull graellsii K.AZX 3CY, March 21 2015, Leixões port, Matosinhos, Portugal. Picture: José Marques. 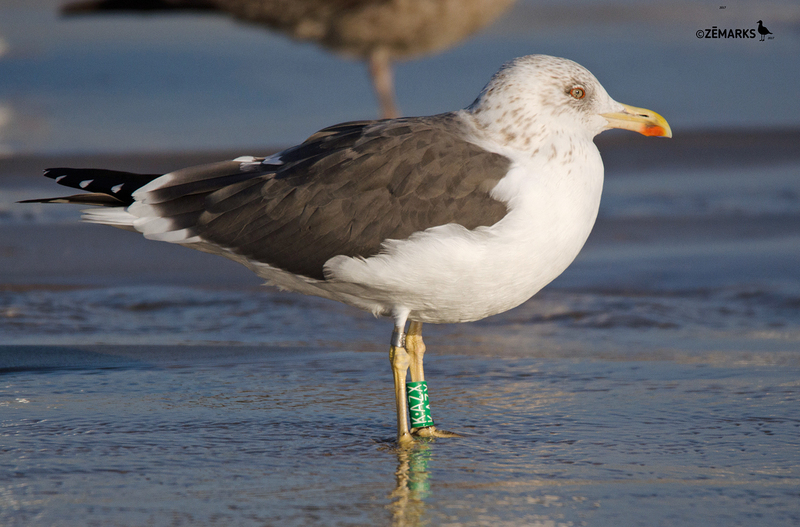 below: Lesser Black-backed Gull graellsii K.AZX 3CY, Februray 13 2015, Matosinhos beach, Matosinhos, Portugal. Picture: José Marques. 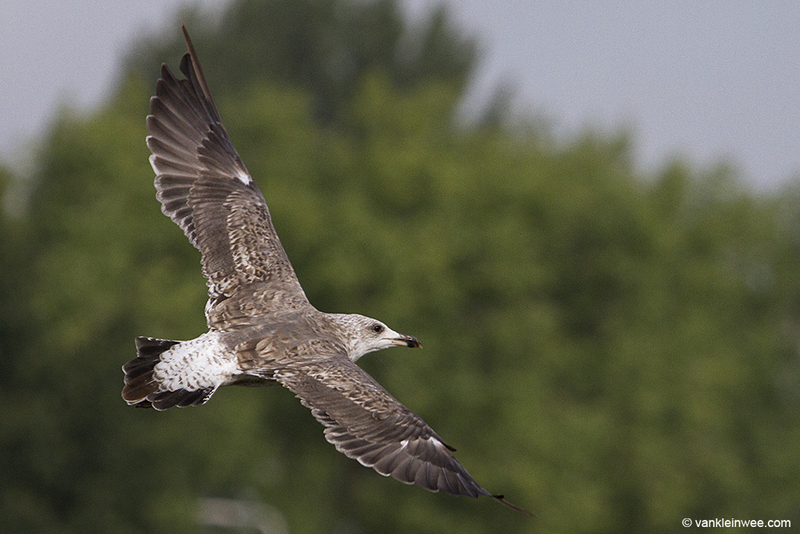 below: Lesser Black-backed Gull graellsii K.AZX 2CY, August 14 2014, Utrecht, the Netherlands. Picture: Maarten van Kleinwee. Local bird in complete moult: P7/P10. P1-P7 new 2nd gen fully grown, P8 growing, length at P4, P9 missing, P10 old juvenile. PMS=37. 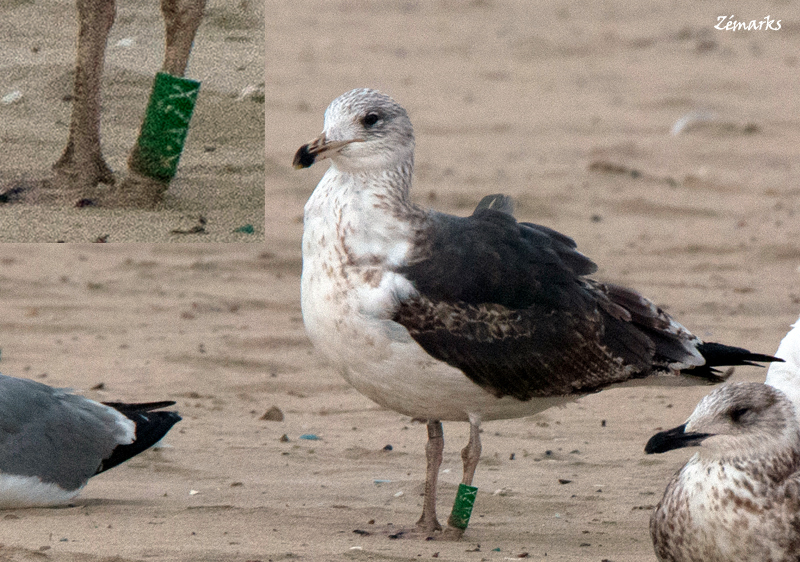 Moult in secs: S1-S3 new 2nd gen, S4-S8 growing, then secs missing, no old juvenile. 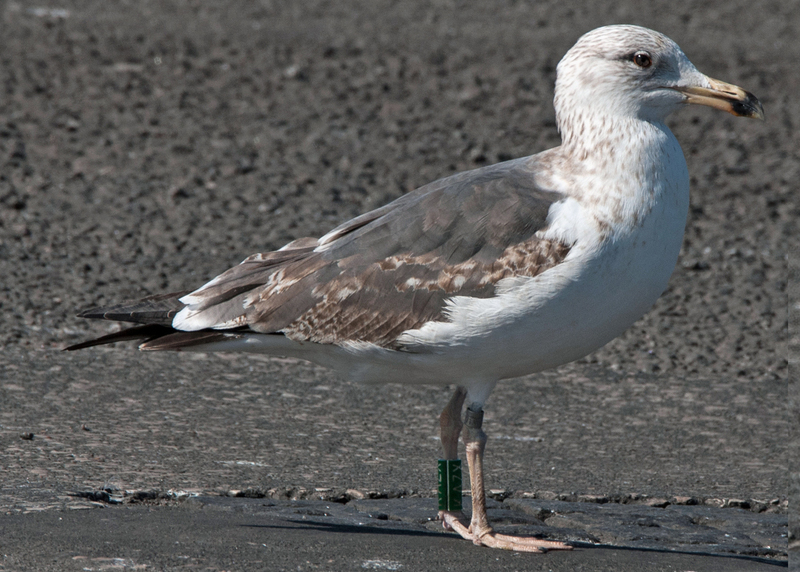 Rectrices: R1 seems to be a juvenile tail-feather (which is very unusual, normally moult in recs starts at this point and prgresses centrifugal, maybe R1 is old 2nd gen? ), other have been shed, now growing 2nd gen. 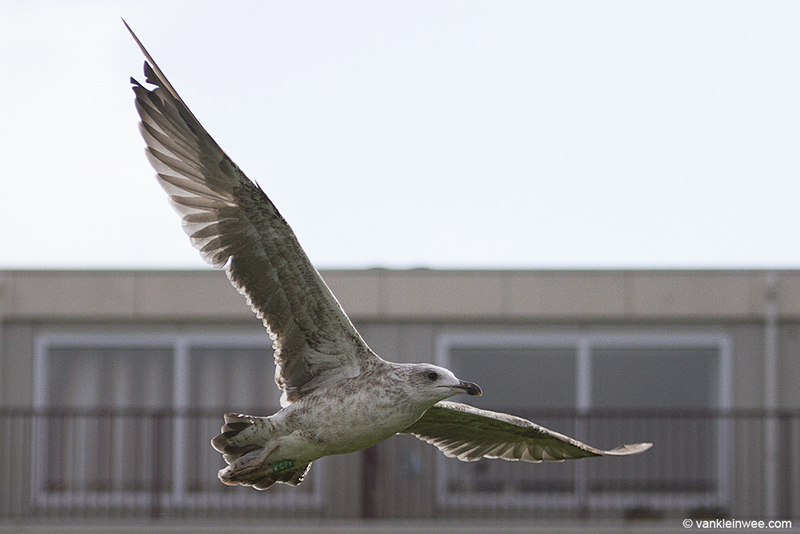 Probably some coverts were included in post-juvenile moult on wintering grounds, now again replaced for 3rd gen, like GC2. 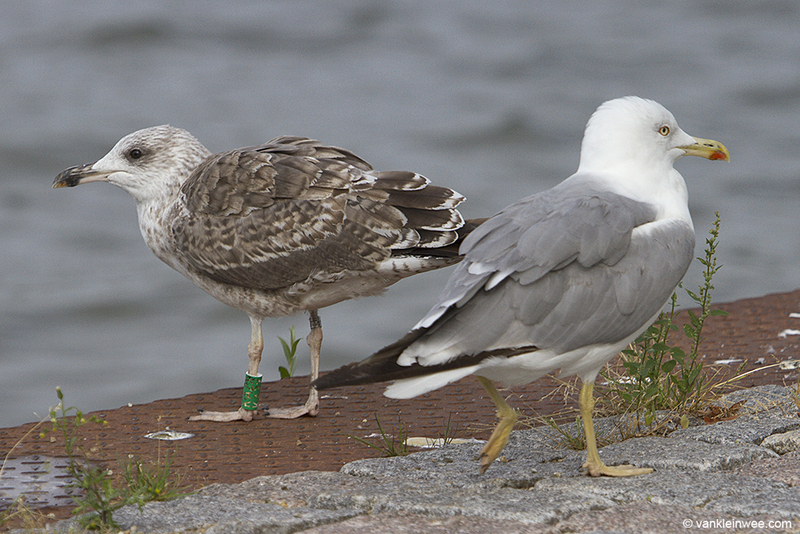 above: with 4CY michahellis, below with 4CY intermedius yellow V6TE.